From the first moment you interact with us, we are collecting data. Sometimes you provide us with data, sometimes data about you is collected automatically when browsing our website. Data That You Provide Us: When we call you when you chat with us for customer support when you opt-in for marketing campaigns/correspondence. Data That We Collect: When you browse our website when you receive emails from us when you chat with us for customer support. We don’t collect any "sensitive data" about you. Examples of data we consider to be sensitive; racial or ethnic origin, political opinions, religious/philosophical beliefs, trade union membership, genetic data, biometric data, health data, data about your sexual life or orientation, and offenses or alleged offenses. Your name, company name, email address and telephone number. Your IP address, browser type and version, time zone setting, browser plug-in types, geolocation information about where you might be, operating system and version. Your URL clickstreams (the path you take through our site), services viewed, page response times, download errors, how long you stay on our pages, what you do on those pages, how often your actions are undertaken. We don’t collect any "sensitive data" about you. Examples of data we concider to be sensitive; racial or ethnic origin, political opinions, religious/philosophical beliefs, trade union membership, genetic data, biometric data, health data, data about your sexual life or orientation, and offences or alleged offences. Data protection law means that we can only use your data for certain reasons and where we have a legal basis to do so. Improving Our Services To You: Testing features, interacting with feedback platforms and questionnaires, managing landing pages, heat mapping our site, traffic optimization and data analysis and research, and in some cases using third parties to do this. Customer Support: Notifying you of any changes to our service, solving issues via live chat support, phone or email including any bug fixing. Marketing Purposes: (With Your Consent) Sending you emails and messages about new features, products and services, and content. You Can Ask Us Not To Use Your Data For Marketing: We will inform you (before collecting your data) if we intend to use your data for marketing and if third parties are involved. You can opt out from marketing by emailing us at info@gridlink.co.za. The categories of data we’re processing. The categories of third parties to whom the data may be disclosed. How long the data will be stored (or the criteria used to determine that period). Your other rights regarding our use of your data. You Can Object To Us Using Your Data For Profiling You Or Making Automated Decisions About You: We may use your data to determine whether we should let you know information that might be relevant to you (for example, tailoring emails to you based on your behaviour). You Have The Right To Be ‘Forgotten’ By Us: You can do this by asking us to erase any personal data we hold about you, if it is no longer necessary for us to hold the data for purposes of your use of our website. add_circle_outlineHow Secure Is The Data We Collect? You provide personal data at your own risk: unfortunately, no data transmission is guaranteed to be 100% secure, although reasonable efforts will be undertaken to keep your data safe. You are responsible for your username and password, we cannot and will not be held liable should your data be compromised due to login details aquired through any form of social engineering tactics such as (but not limited to) phishing, nor will be held liable for compromised data due to you (or someone else) letting a third party view your details. It is worth noting that weak passwords are the most common reason behind data breaches, and are often 'guessed' by hackers after they analyse the victom's social footprint (Facebook/Twitter/Etc.) - Do not use a word that may be found in a dictionary, or even worse, one that is closely related to you (like your childs/pets/grandmothers name!) - This makes it easy for hackers to breach systems and aquire your data, we will not be held liablFe should you decide not to use a password of sufficient strength. add_circle_outlineWhere Do We Store The Data? The personal data we collect is processed at our offices in South Africa and in any data processing facilities operated by the third parties identified below. add_circle_outlineHow Long Do We Store Your Data? We will archive and stop actively using any personal identifiable information about you within 6 months from the last time you used our website. We will delete your personal data from our archives no later than 6 years from the last time you used our website or as agreed with you in a separate contract. We use Google Analytics to analyse our website traffic. 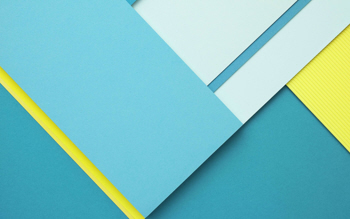 Read more about Google's commitment to the applicable data laws. Read more about how Google collects, stores, and uses the data it collects. We use Facebook on occation to track marketing campaing effectiveness. Facebook is commited to to keeping your data private and secure, read more below. If you would like to personalize your preferences, click 'preferences' below. These preferences can also be changed at any time by accessing the 'settings' link in the navigation bar. We appreciate your right to privacy, please do let us know your preferences below. 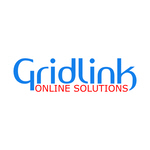 Gridlink.co.za is a full-service website development company based in South Africa, working with large corporates and SME's alike. Reaching out to companies both local and international.